Alders Ledge: Where Is The Love In Burmese Buddhism? When Buddha was a young man he sat at beneath a large tree and watched as the peasants prepared the fields for the planting. Instead of worrying about the hunger of his people, the Buddha thought to himself about the plight of the worms in the soil as the plows turned over the land. If the crops were not planted the people would starve to death. But that did not cross the Buddha's mind as he worried about and animal that can survive being cut in half. To the Buddhists of today this is supposed to represent his love for even the least of these. But I ask what love? It is hard to imagine any person, regardless of his supposed deity status, thinking that the life of a single worm was more important than the lives of millions of starving humans. It is a self righteous behavior that has become characteristic of the Buddha. While he had everything provided for him the people beneath his "enlightened" state died of hunger. So once again, what love? Is this the love of which Buddhists speak? Is this the compassion which Buddha supposedly held for the worms? What if the worms had been called "parasites"? Would the Burmese still refer to Rohingya and other Muslims as such? When a people forget the morality that helped shape their culture they forget the soul of their culture. Stepping away from love and compassion brings us to the brink of catastrophe. It takes us beyond the point of no return... it drags us to place where we no longer recognize the people we once were. 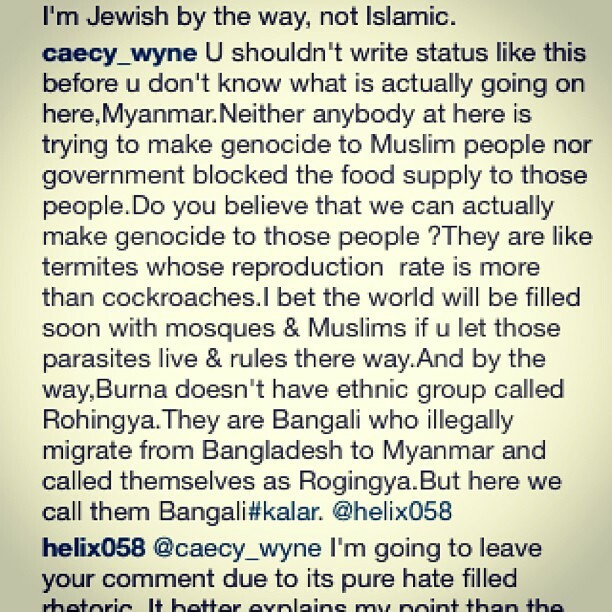 This is the hate with which Burmese Buddhism has been poisoned. What love was once there is trapped beneath it's heel. The hatred for their fellow man now replaces the love of which Buddha spoke. The parable of the worms and Buddha was much more than mere self righteousness. It was meant to show that at times when we think we are helping others, performing a task greater than ourselves, we often hurt others without knowing. Buddha showed that with other ways of doing the same task we can often avoid the casualties of even the least of these (those society rejects or abandons). 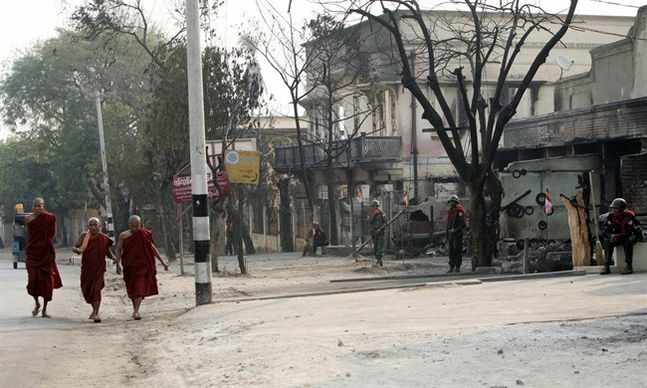 If Buddhism is to ever heal in Burma it will have to learn to exercise resistance to the hate that has worked it's way into Myanmar's culture. The racism, bigotry, and intolerance must be dealt with in ways other than the killing and ostracizing of an entire portion of the population. Those who have introduced this disease must be dealt with also. The sickness must not be allowed to govern the politics of a nation. In approaching this problem in this way, Myanmar must recall that the illness of one man changed the way Europe thinks today. Had Hitler's disease not been permitted to take hold, Europe and America might have been able to avoid the Nazi's "Final Solution". But none of this can be accomplished or even worked on until the country of Burma decides to first abandon its policies of extermination and religious bigotry. Until the blood stops flowing this disease can not be contained. The love that Buddha tried to spread can not be achieved as long as hate is allowed to rule the hearts and control the minds of the Burmese.